The primary mission of the Office of Clinical/Field-Based Instruction and Licensure is to provide a high quality field experience program for teacher education candidates in all majors during the last semester of their teacher preparation program. The teaching internship is the culminating field experience of the teacher education program in which the prospective teacher works full time in two 8-week placements with different age groups and supervising teachers or in one placement with several preparations. Specific assignments are made by the Office of Clinical/Field-Based Instruction in cooperation with local public school district administrators and professional staff. 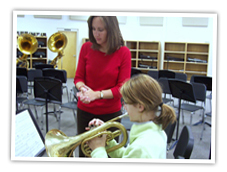 During the internship, the teacher intern observes, assists and gradually assumes full responsibility for classroom instruction. The internship is considered by many to be the most important phase of professional preparation; this is the time the prospective teacher applies and tests the principles, theories, and methods learned in the teacher education program. A second part of our mission is to provide information about educator licensure to college of education students, other MSU students contemplating changing majors, public school personnel, faculty, and the public and university community. We respond to a wide range of questions about licensure and stay abreast of changes in programs and licensure guidelines from the Mississippi Department of Education. For most endorsements and graduate programs as well as licensure in other states, we provide institutional recommendation based on completion of state-approved and NCATE accredited programs. The education program at Mississippi State University is one of the largest in the state and provides fully licensed, highly qualified educators for teaching and other professional positions.